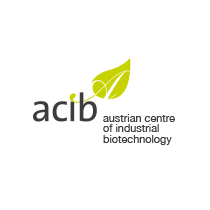 ACIB is an international competence centre specialized on bridging the gap between academic and industrial research. ACIB offers a multi-disciplinary team of experts in the fields of biocatalysis, enzyme technology, protein engineering, (bio)polymers, metabolic modelling, bioprocess engineering, synthetic biology and cell engineering for better application of biotechnology for industrial purposes. Main locations are in Austria (Vienna, Graz, Tulln, Innsbruck), but include also international sites in Germany, Poland, Slovenia, Spain, Italy and Taiwan. A lot of ACIB groups are embedded at university institutes, greatly benefitting from the expert knowledge generated there, meaning that ACIB acts as a hub between the academic scientific expertise and the industrial needs. The main scientific tasks of ACIB involve optimization of up- and downstream processing of the CARBAFIN glycosylation platform for industrial-scale synthesis of glycosides in WP3 (Platform DSP development) and in WP4 (Integration of platform unit operations). ACIB has the lead of WP7 (Dissemination, exploitation, communication) where it will harness its competences as a technology transfer intermediary for dissemination and exploitation of the CARBAFIN platform. ACIB will perform market and stakeholder analysis together with PNO and will make this knowledge and the online platform available during stakeholder workshops and other exploitation events. 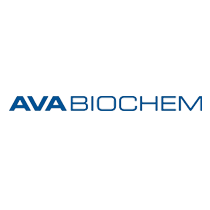 AVA is a specialty chemicals company and produces the premium platform chemical 5-hydroxymethylfurfural (HMF). AVA is a subsidiary of AVALON Industries AG and is located in Muttenz, Switzerland, where the world’s first dedicated HMF production plant is operated. AVA produces the premium platform chemical HMF from renewable biomass, and delivers to industrial and research customers around the globe. AVA aims to use its game-changing production process to achieve market leadership in the production of HMF. Therefore AVA is continuously testing new input streams for the further improvement of the HMF conversion process. The main tasks of AVA in the CARBAFIN project will be the testing and optimisation of fructose streams (as produced by ACIB, bitop, P&L) on its pilot scale plant (5-10 L) for HMF production as described in WP4 (Integration of platform unit operations). Moreover, AVA will support the development of membrane technologies for fructose fractionation in WP3 (Platform DSP development) and will also use fructose streams from WP5 (Demonstration in industrial environment) for continuous HMF production. AVA will also strongly participate in WP7 (Dissemination, exploitation, communication) in terms of exploitation of HMF (e.g. FDCA for bio-plastic). bitop was founded in 1993 as a spin-off from the Faculty of Bioscience at the Private University of Witten/Herdecke (Germany). The Cosmetic and Personal Care industry has a high demand for effective and proven active ingredients. bitop’s Extremolytes meet these criteria and give creams, foams, and other cosmetic formulations outstanding claims. As protective agents, extremolytes shield proteins, nucleic acids and cells against a variety of stress factors. 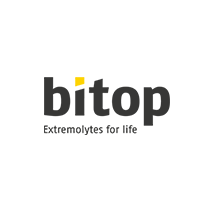 bitop has production capacities in industrial scale for extremolytes: Ectoin®, 28Extremoin®, Hydroxyectoin and Glycoin® natural. The production is subject to a certified quality management system according to ISO 13485.
bitop has validated Ectoin® as a naturally-derived ingredient for Health and Wellbeing products. Build on this expertise and knowledge, a unique portfolio of more than 20 products with scientifically proven efficacy has been developed. The current portfolio comprises proprietary over-the-counter (OTC) products which treat and alleviate symptoms of inflammatory skin diseases, cough and cold, allergies, lung diseases and dry epithelia. bitop has the lead of WP3 (Platform DSP development). bitop has established great knowhow on membrane filtration technology (micro-, ultra-, nano-filtration) in the last years. DSP methods based on chromatography and membrane technology will be compared. bitop is responsible for demonstration of the cell factory based glucosylglycerol production process in industrial scale in WP5 (Demonstration in industrial environment). bitop will focus on analysis of product quality and properties in WP6 (Process and product evaluation). bitop will participate in exploitation of glucosylglycerol and its derivatives as well as of the glycosylation potential of CARBAFIN’s platform for new glycosides in WP7 (Dissemination, exploitation, communication). 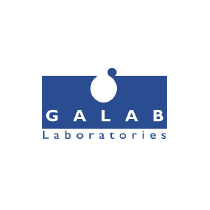 GALAB is a contract research organisation and provider of bioanalytical services for the food industry. GALAB is equipped with outstanding analytical instrumentations that allow product evaluation with regard to product identification and characterization, quality tests and determination of microbial and toxic contaminates. GALAB has special expertise in the analysis of carbohydrates. GALAB is specialised in food and feed analytics and has a strong market position in this area. The high importance of product quality in targeting food and feed applications will be fully considered by GALAB in WP6 (Process and product evaluation). GALAB also collaborates strongly with regulatory authorities and performs market and consumer perception analysis in WP7 (Dissemination, exploitation, communication). 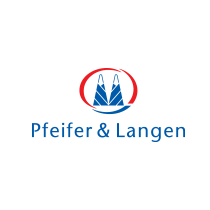 P&L is the third biggest German sugar manufacturer headquartered in Cologne. In the last 30 years, the company has built on its market position through the acquisition of sugar companies in the Rhineland and by adopting new production methods. Aside from the well-known table sugar and rock candy specialties for the household, P&L supplies a multitude of products to the manufacturing industry, e.g. refined sugars in different crystal sizes, brown sugar, liquid sugar syrups, caramelized sugar syrups, decorating powders, decorating crystals, coloured and aromatized sugars and other customized specialties as well as molasses and beet pulp. In 2016, P&L lounged the enzymatically produced functional carbohydrate Cellobiose. Therefore, a variety of substrates and enzymes had to be screened and engineered. The newly developed process to produce crystalline cellobiose, enzyme achievements and applications got patented (e.g. WO2016038142A1, WO2016116619A1, WO2016116620A1, WO2016116622A1, WO2016116627A1). P&L has the lead of WP5 (Demonstration in industrial environment). P&L possesses knowhow on enzymatic process implementation as indicated by their recent success story on Cellobiose. P&L will work on the development of a high-level expression protocol together with TUG in WP2 (Optimisation of cell factory based biosynthesis). P&L will develop an integrated DSP protocol based on membrane technology for cellodextrin but also for glycosides in general together with ACIB and bitop in WP3 (Platform DSP development). As CARBAFIN aims to link the sugar industry to other markets, P&L will also be involved in dissemination and exploitation measures of WP7 (Dissemination, exploitation, communication). PNO was set up in The Netherlands in 1984 and is Europe’s largest independent public funding advisory, annually raising over €1 billion on behalf of its clients. PNO employs 250 staff operating in 6 European countries, including scientists, engineers, consultants and financial and legal experts. PNO is active across the entire grant acquisition process. 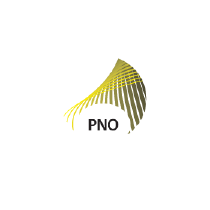 PNO supports industries, Public Administrations and research organisations in the definition and implementation of their innovation strategies, the exploitation and dissemination of advanced technologies and management of international technology transfer networks. PNO will perform a stakeholder analysis to support exploitation activities in WP7 (Dissemination, exploitation, communication) and to establish a well-structured network. The stakeholder analysis will identify the most important stakeholders of CARBAFIN technology along the value chain and assess their position towards the project’s results in order to set up engagement strategies. PNO will also organise a Stakeholder Workshop. 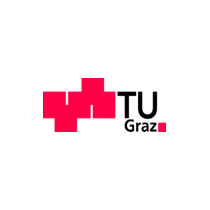 The Institute of Biotechnology and Biochemical Engineering at the Graz University of Technology is the main Austrian university institution for basic and applied research at the interface of biological sciences and process engineering. The Working Group Sustainability Assessment is offering a broad spectrum in the area of sustainability assessment, life cycle assessment (LCA), life cycle costing (LCC) and systemic sustainability modelling including digitalization and multi-criteria decision models. Research is dedicated on sustainability assessment methods, the workflow within the designed process and the applicability in the built environment as well as their successful implementation and realization within demonstration projects. In WP1 (Development of platform cell factories), TUG will assist in biochemical characterisation of the engineered enzyme variants. TUG has the lead of WP2 (Optimisation of cell factory based biosynthesis) with focus on reaction engineering by kinetics- and mass balance-based modelling. Moreover, TUG will optimise and further develop analytical methods for high-throughput data screening that will feed back into integrated process design. TUG is also the lead partner of WP6 (Process and product evaluation). Here, the main tasks comprise the process oriented environmental and economic sustainability evaluations for each of CARBAFIN’s products as well as evaluation of product properties thereof. 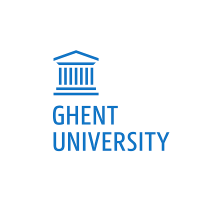 The Unit for Biocatalysis and Enzyme Engineering at Ghent University specializes in the semi-rational design of new biocatalysts for practical applications, particularly in the carbohydrate industry. The Unit is founding member of the Centre for Synthetic Biology, together with the Unit for Metabolic Engineering (Prof. M. De Mey) and Unit for Transport Engineering (Prof. I. Van Bogaert). In total, this centre gathers more than 50 researchers (including undergraduate students). The lab has a very long research tradition in the field of industrial biotechnology, historically focused on the identification and use of new microbial production systems but now shifting more towards their molecular characterization and engineering. The lab is also active in the promotion of these activities through various networks, such as Ghent Bio-Economy Valley and Flanders Bio. UGent has the lead of WP1 (Development of platform cell factories) and will further optimise the phosphorylase enzymes needed for the production of CARBAFIN’s target compounds. All parameters that are relevant for commercial exploitation will be addressed, from expression over stability to specificity. The group has already engineered sucrose phosphorylase towards higher stability (Cerdobbel 2011) and activity on resveratrol (Dirks-Hofmeister, 2015) and a similar strategy will be used here to create a suitable enzyme for the industrial production of glucosylglycerol. It should also be noted that UGent holds IP on many enzyme classes, i.e. sucrose synthase (EP 16172107/1), sucrose phosphorylase (WO 2016/180818) and cellodextrin phosphorylase (WO 2011/144706).